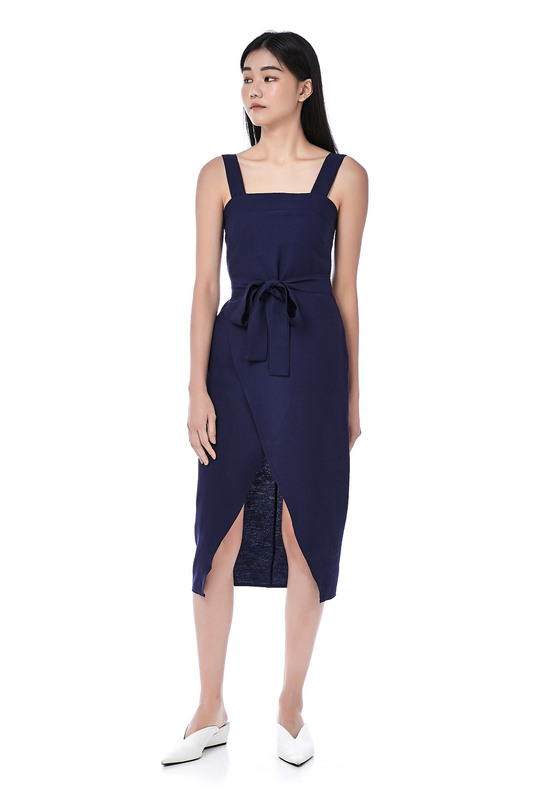 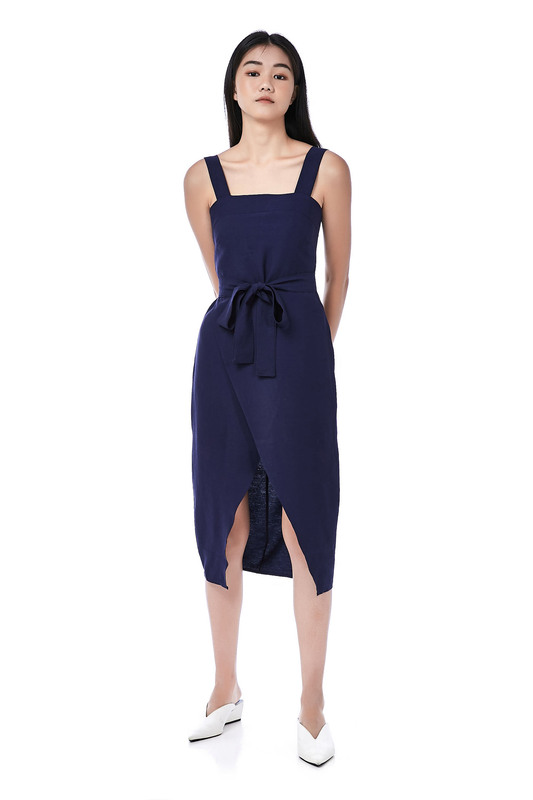 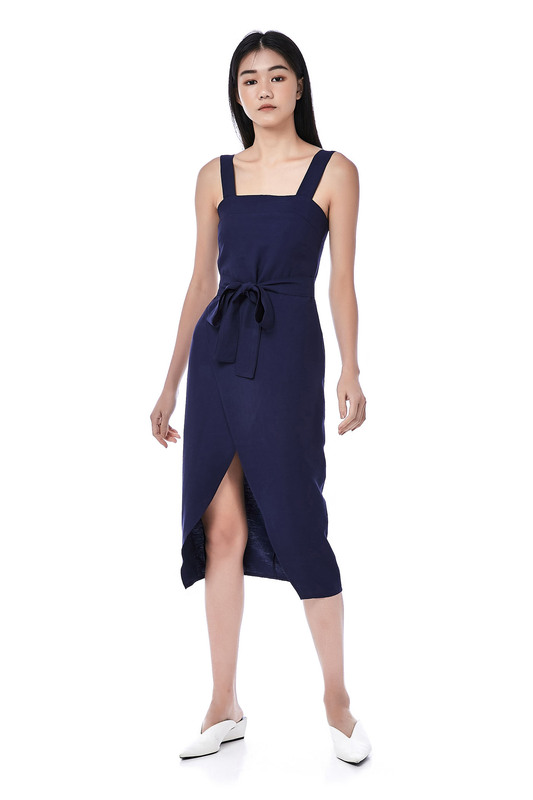 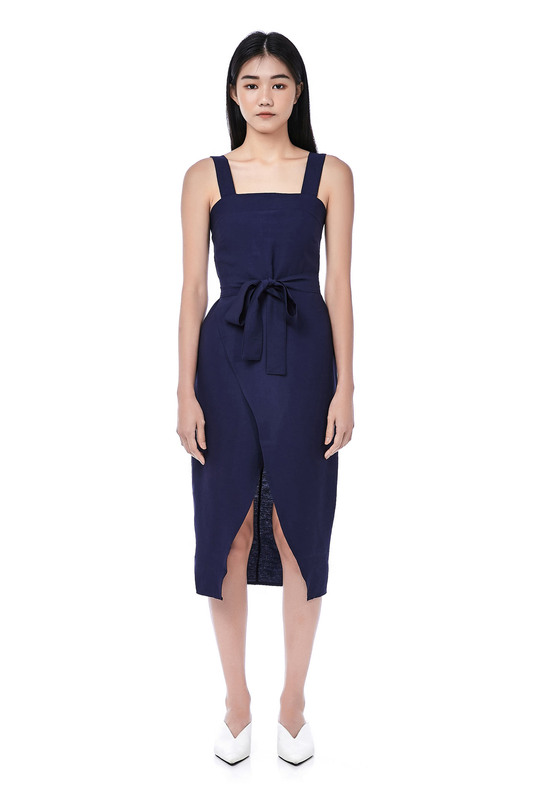 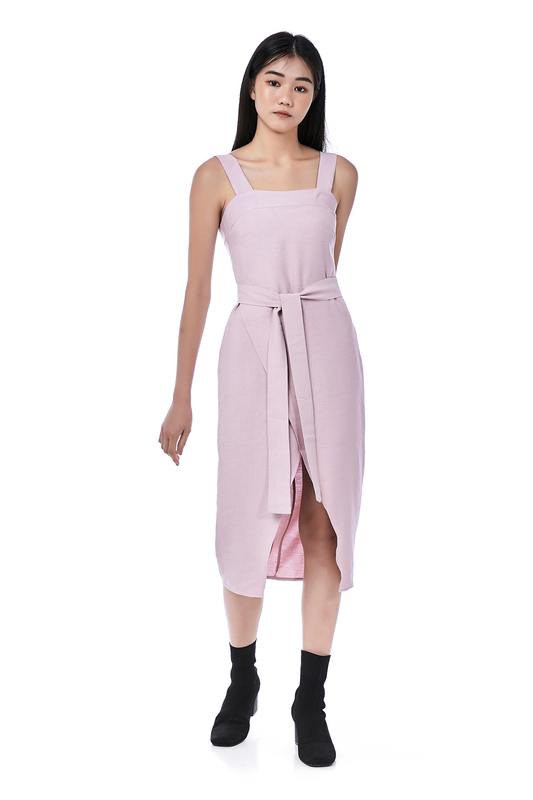 This sleeveless dress is made from woven polyester. 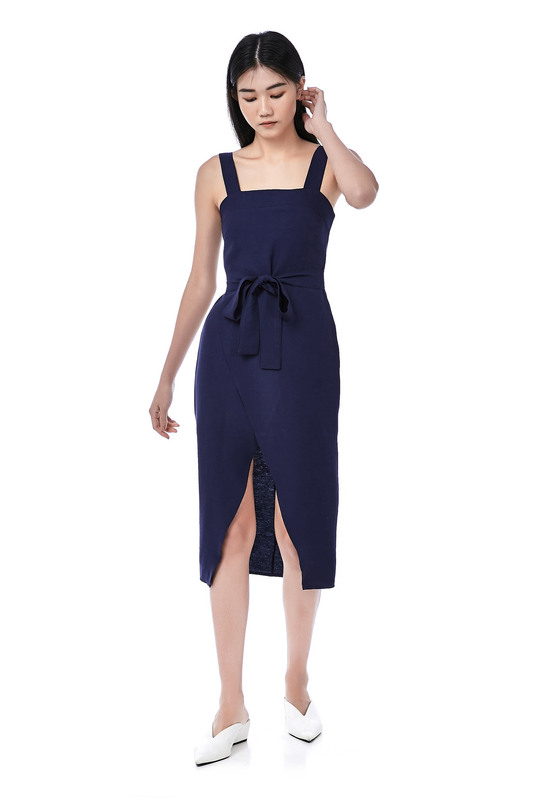 It has a square neckline with thick shoulder straps featuring an overlap detail on the front, made in a slim fit. 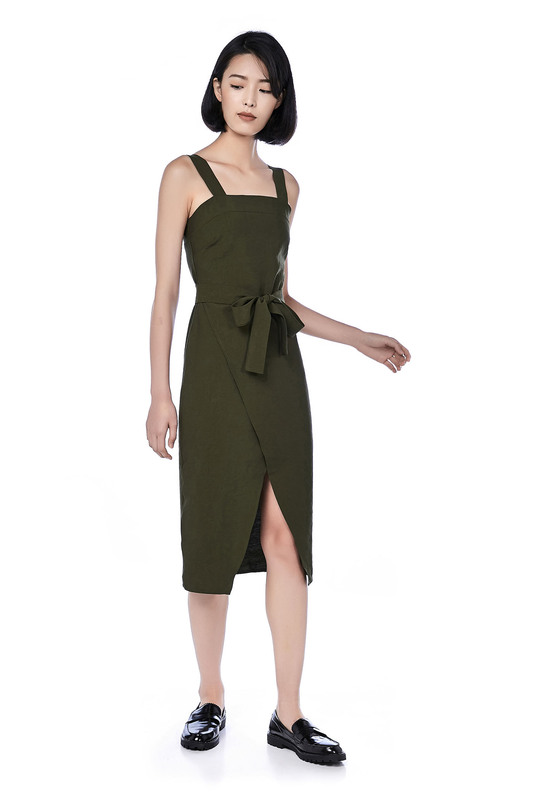 Zip closure on the back with removable strap belt at waist. 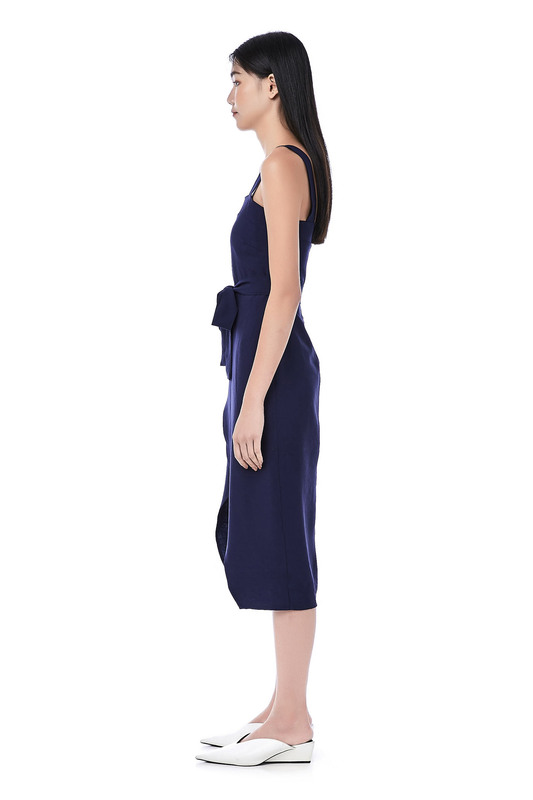 LENGTH 33"/44" 34"/44.5" 35"/45" 35.5"/45.5"